On Wednesday 4th October 2017, Cllr Cathy McEwan officially opened the new Robinia Castle and playground at Robertson Park in Renfrewshire. 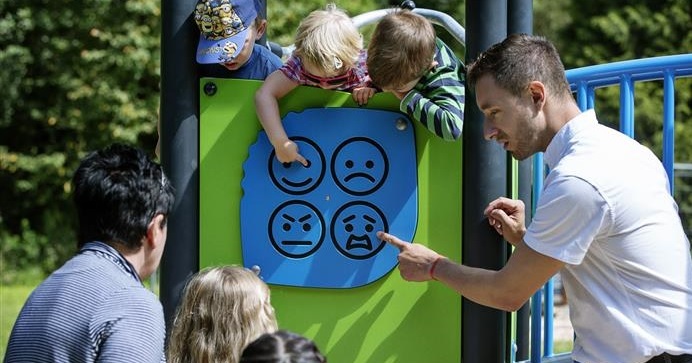 In addition to the existing play area, Robertson Park has been upgraded with a UK 1st KOMPAN Robinia castle and lots of play equipment that bring greater play value to the area. 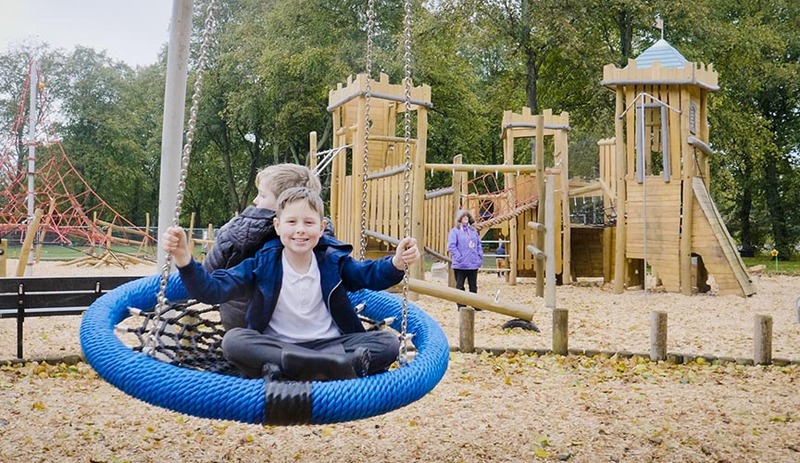 Renfrewshire council wanted to provide a unique destination playground for the local residents and visitors to the Renfrew area, which catered for all ages and abilities. The play space draws inspiration from the local surrounding area providing a fun and educational experience. Our design features great use of space organisation, modern landscape principles and an exciting array of play equipment. 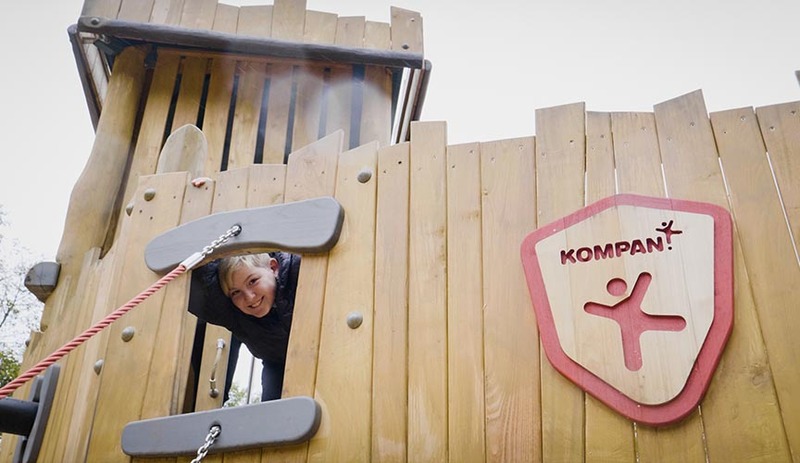 We wanted to give children an inspirational play park, very different to more traditional playgrounds by providing our large themed Robinia units. Our Robinia wood castles are based on Scottish Castles so it only seemed fitting that Scotland should be the 1st to experience these castles, making this is a rather special play area. This particular unit comprises of several climbing and balancing challenges including multi-layered play floors, a dense climbing tower, a fun coconut rope bridge, inclined climbing net, monkey bars, climbing wall and many more climbing opportunities with platforms stimulating the cross-body coordination. 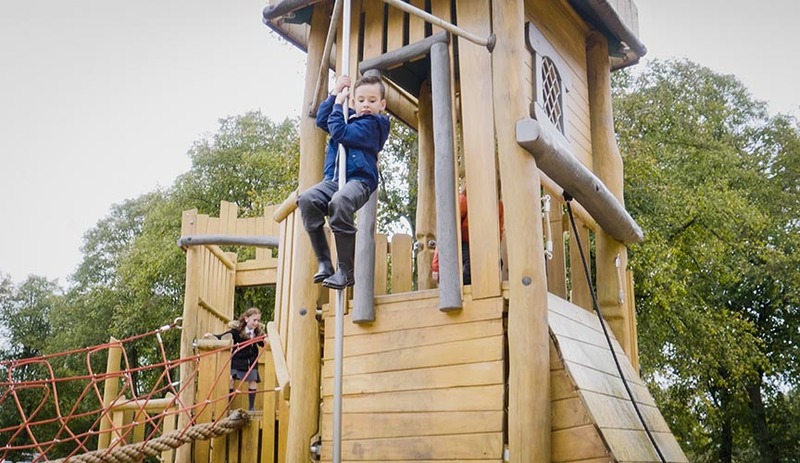 After taking in the view of the playground from the higher levels children can either climb back down a different route, slide down using the steel slide or banister bars or alternatively tackle the daring fireman's pole. Within this castle, children can immerse themselves in a world of imaginative and themed role play, with multiple features and access points; children not only improve on their physical skills but their fine motor and social skills, hand-eye coordination, creativity, verbal communication, empathy and cooperation. This castle promises of hours of physical fun and social play for several children at one time. With its adventurous look it certainly appeals to children's imagination and curiosity.